You are here: Home / Legal System / How Does the VAT Rebate for Exports out of China work? 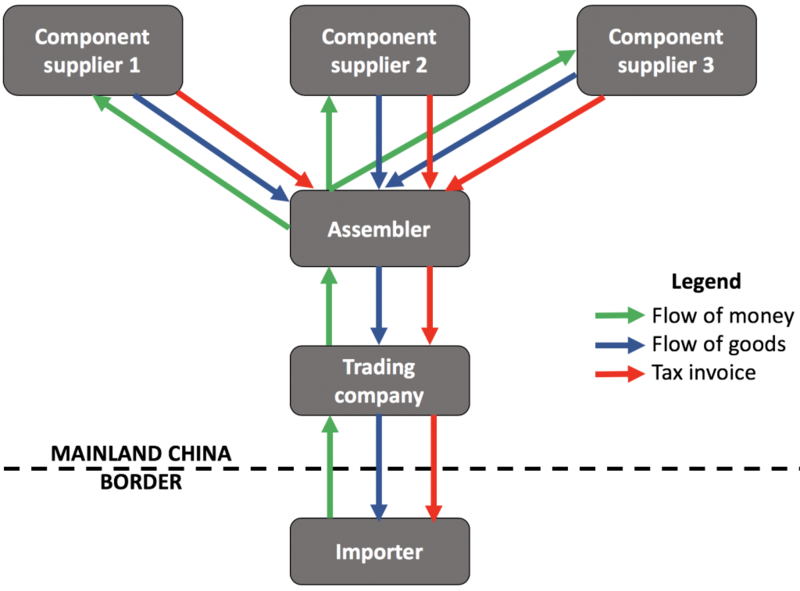 How Does the VAT Rebate for Exports out of China work? In most cases, importers don’t need to worry about the way their supplier handles the VAT rebate. They are usually better off negotiating a price under the FOB incoterm and avoid worrying about the complex paperwork involved in getting a rebate on the VAT paid on components/materials. However, once they start looking deep in their supply chain, they can identify risks as well as opportunities for saving money. And they might notice that their supplier pockets a margin much higher than they thought. The fact that the exporter gets a VAT rebate, which might represent as much as 16% of the value of all materials and components embedded in the final product, is not something you might want to overlook. Yes, it often is. 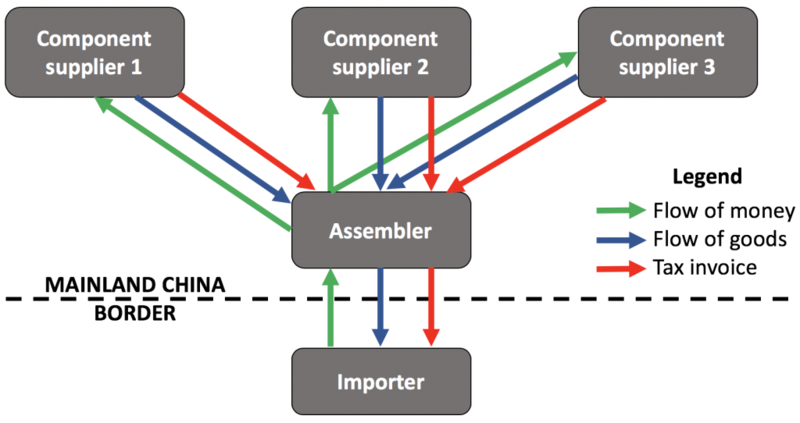 If you purchase 2 million USD a year of a certain product, and the value of the components is 1.5 million USD, the “extra cash” pocketed by the exporter might be up to 240,000 USD! The rebate is given back to the exporter about 5 months after the products were exported. And there is no guarantee the application will be approved. If you can negotiate an ‘open book’ policy with your supplier, you might be able to track how much cash they get back… However, this is one of the topics on which Chinese suppliers tend to be very opaque. They see it as a ‘bonus’ that comes on top of the margin they built into their pricing, and it is not up for sharing with their customers! That’s why you can expect a lot of “it depends”, “I am not sure”, and “it seldom works” when you ask your suppliers about it. How does the VAT rebate work? What are all these arrows? China’s administration has gotten quite strict when it comes to approving a VAT rebate application, especially if the exporter is the manufacturer. The problem is, many component suppliers, especially if they are small, don’t pay any VAT. It is illegal for the exporter to buy anything from them… and yet their prices are often much lower! The solution? Have a trading company (often with a name ending in “Import & Export Company”) that exports the goods in its name. In that case, there are much fewer controls from the Chinese government over what the product is made of. I hope this topic is a bit clearer now… Getting all the ducks in a row and having a successful application is not easy, but it is often worth it for exporting companies! Great article! I got it! Thanks!